Amazon.com description: Product Description: Life can be sweet. Our relationships with friends, spouses, colleagues, and family members can be wonderfully rewarding. They can also bring heartache, frustration, anxiety, and anger. We all know the difference between times when we feel open, generous, and at ease with people versus times when we are guarded, defensive, and on edge. 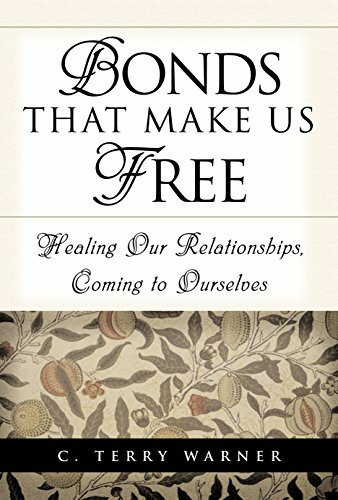 Bonds That Make Us Free is a ground-breaking book that suggests the remedy for our troubling emotions by addressing their root causes. You'll learn how, in ways we scarcely suspect, we are responsible for feelings like anger, envy, and insecurity that we have blamed on others. How many times have you said,You're making me mad! It would not be accurate to describe this book as supplying the truths upon which we must build our lives, writes author C. Terry Warner. Instead it shows how we can put ourselves in that receptive, honest, and discerning condition that will enable us, any of us, to find these truths on our own. Finding these truths is the key to healing our relationships and coming to ourselves, and Bonds That Make Us Free starts us on that great journey. About: Life can be sweet.